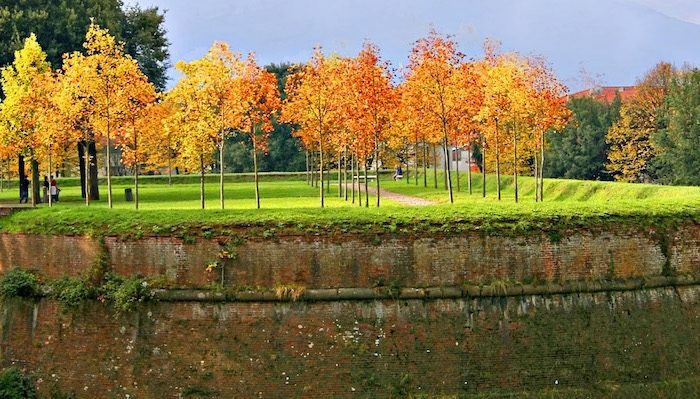 The protective city walls surrounding Lucca were demilitarized during the Napoleonic era, when they became an elegant public space brimming with forest, trees, and of course — walkways. A paved path runs along the top of the wall for nearly 5 km, and it’s a popular spot for running. You’ll also get a nice tour of the city and a panorama of the gorgeous surrounding scenery. Start at any point along the perimeter, but the Porta San Pietro is an easy to find landmark right when you get off the train. You can also find gym equipment along the way, and a Parkrun (a free 5 km race) on Saturday mornings. Note: Can get crowded — best to go early!